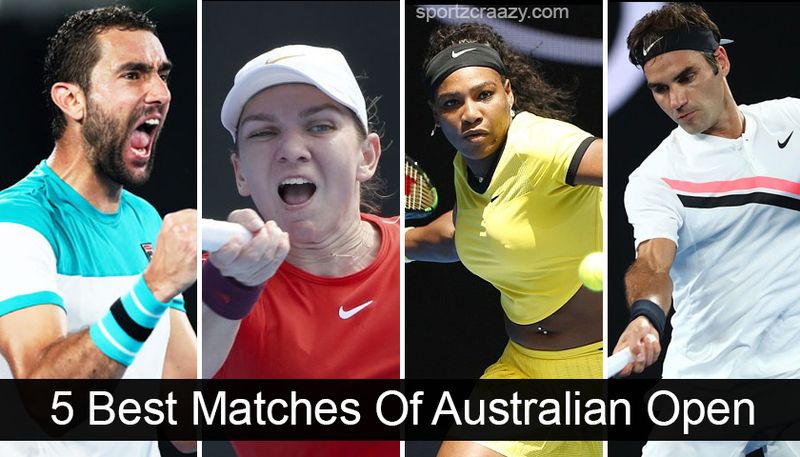 While one of the grand slams, Australian open tennis tournament is all set to begin this January, all eyes would be there on the likes of Djokovic, Federer, Nadal and Williams sisters during the whole tournament. 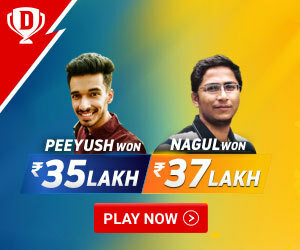 Although there have been some of the young stars like Kevin Anderson and Del Potro who have proved their prowess in the tennis court over the past years in front of all these legends, the confrontation is surely going to set new records in the coming month. So the question would still be the same, would we be witnessing some of the biggest upsets this time or would there be another title win for one of the deadly trios, Federer, Nadal and Djokovic. 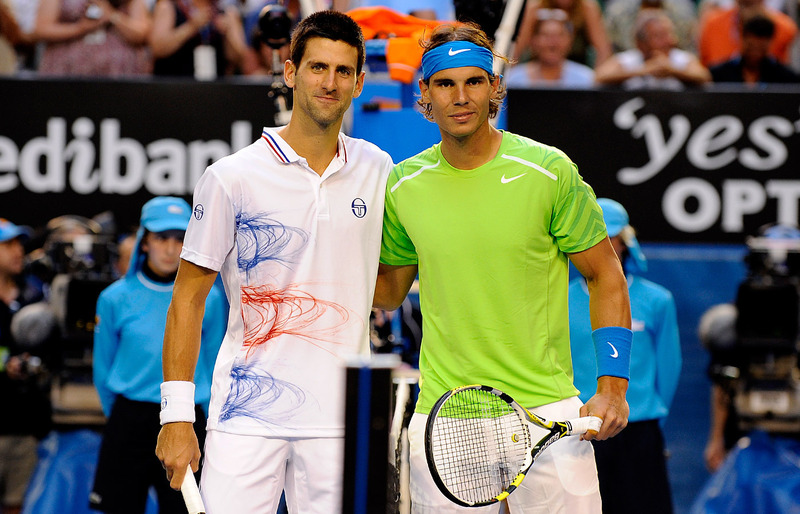 Although Australian open has showcased some of the best matches in the tennis history over the years, let’s take a look at the 5 best matches of the Australian open. 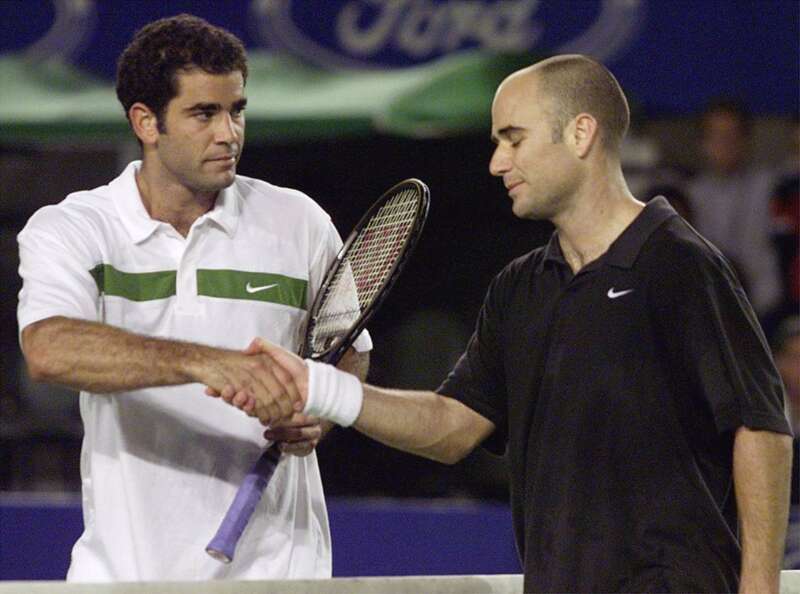 Andre Agassi and Pete Sampras has been two of the biggest rivals of the 90s era and both of them have been a part of some of the best matches in the tennis history. 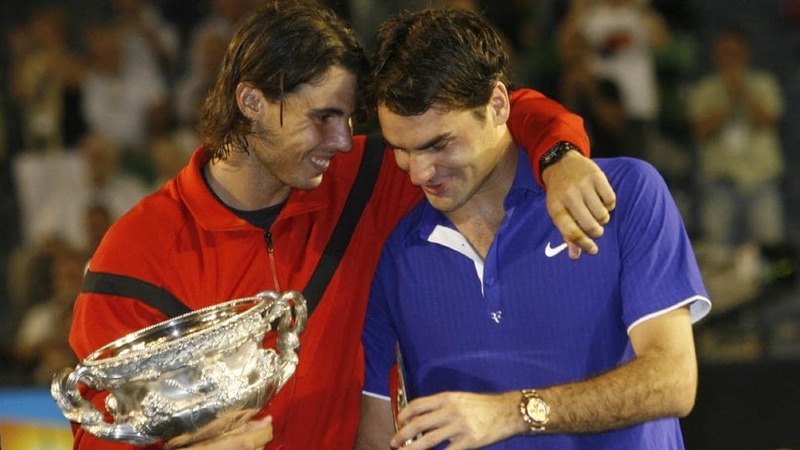 Apparently, it was the 30th time that these two were featuring against each other in an epic clash and what could have been a better stage than the semi finals of the Australian open itself. Moreover, it was always been said that Sampras holds the best serve in the tennis world whilst Agassi was the expert in the service return and with that’s been said, the match was all set to soar down the temperatures. The match was certainly going to Sampras as he was the one who was leading in the fourth set whilst winning the two of the three sets down the line. He was leading by 5-4 and its was right there when Agassi shown his class by making a comeback win with two service breaks in the same set. It then went down to the fifth and final set and although Sampras led the first game quite dominantly, it was Agassi who then took the victory home by defeating Sampras with 6-4, 3-6, 6-7 (0-7), 7-6 (7-5), 6-1 . Although Steffi Graff has been a dominant power in the women’s tennis world for quite some time, it was Monica Seles who came to the tournament with the no 1 rank under her name and whilst she has been victorious in the 6 of the grand slam events she took part in previously, stakes were high for her victory in this one too. Steffi Graff, on the other side Steffi Graff has been the only player to defeat her in the most recent meeting before this clash which was the Wimbledon finals in 1992.Thst where this epic clash between the both brought out the best from each one of them. The match went down to the third and most closely contested set with Steffi Graff giving all the fight to Seles but it was Seles who eventually won the last two games and the match as well. Seles has won her third consecutive Australian open title and she stayed didn’t face defeat in the Australian open yet after securing this crucial match. This 19 years old player already won 8 grand slam titles at such a yo9ung age and this was an achievement in all sorts. This match was surely one of the best matches played between two of the greatest tennis players in the tennis arena and whilst both Federer and Nadal did accept the fact about its excitement, the match turned out to be a treat for the coming audience. Nadal did win the match 7-5, 3-6, 7-6 (3), 3-6, 6-2 but it was more than just a match at the finals day in the Australian open. After Federer lost the match to the greatness of Nadal , he broke down into tears and eventually held the mic whilst saying,” god, it’s killing me !”. Both Federer and Nadal fought to win the match till their last strength and even though Nadal trailed by 2-4 in the first set, he eventually won the match quite convincingly after going through some of the most nerve wrecking moments during this epic clash .Emotions were on its high and the match also went down the wire and whilst all this was happening , the crowd out there received the treat to their eyes in the process. If anyone has to look up to the greatness of Tennis legend Pete Sampras, he would surely watch the quarter finals match between two of the hardest hitting legends of the game in the Australian open. 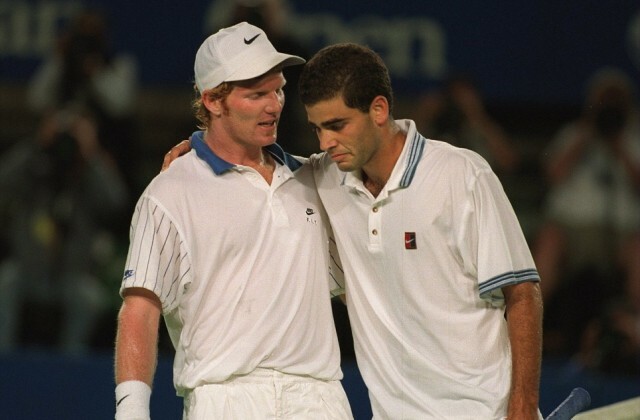 Sampras went down by two sets and still came out to secure a win against Jim Courier in grueling contest. Still it was the breaking down of Sampras in the fifth set after hearing about the news of his close friend and coach Tim gullikson getting diagnosed with brain cancer, which made all the news after the match. It’s worth mentioning that his friend lost his battle to the cancer eventually a year later. Sampras kept on going with the match whilst firing five aces and winning the match quite convincingly. He still broke down again on his chair and it was courier who gave his shoulder to Sampras and the gesture was highly appreciated by all the tennis fans around. This was, by far, the best match of the Australian open history which featured everything from emotions, excitement and physical efforts all down to one epic clash. It was the lengthiest matches in the grand slam finals history and lasted about 5 hours and 53 minutes in total whilst getting started on a Sunday evening and getting along as late as early morning. The intensity of the match was that high that nadal went down to his knees in celebration after winning the fourth set of the match in a tie breaker and went on to take a significant lead of 4-2 in the fifth and final set. Still it was Novak Djokovic who first leveled the set with 4-4 and then claimed the victory in a tight win over Rafale Nadal in the fifth and the final set. Surely, the match turned out to be the most grueling one and whilst it also became the lengthiest grand slam final ever, it took everything out from both of the tennis legends in the process.